Dear Airedale Terrier dog owners and other dog handlers, we represent a multipurpose model of dog muzzle that allows eating and drinking. Airedale Terrier dog muzzle has a special basket shape and sizes for various dog breeds. It is accounted to make a dog feel comfortable, safe and healthy with a muzzle on. 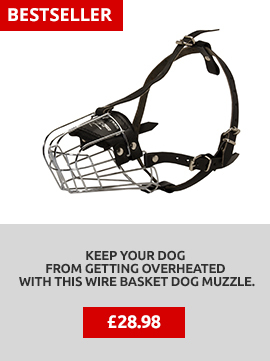 This wire dog muzzle is perfectly ventilated, allows a dog panting, barking, drinking and taking treats muzzled. Airedale Terrier dog muzzle is designed with attention to every detail! 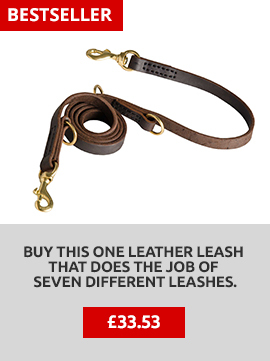 It is made of rust-resistant, nickel-plated, lightweight wire. Strong basket is soft padded, is a comfortable and safe, universal model for dog walking, training, patrolling, guarding, vet visiting and being with a dog in public places. Airedale Terrier dog muzzle basket is produced in other sizes as well. It is very improtant that we get individual sizes of your dog to choose the best dog muzzle size exactly for your pet. Please, follow the instruction below. Wire dog muzzle for Airedale Terrier is the best choice if you are looking for safe, comfortable and durable dog muzzle for your pet. 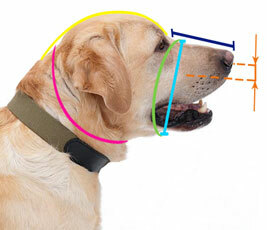 HOW to train your dog to a muzzle fast and easy? Find the answer at this page! 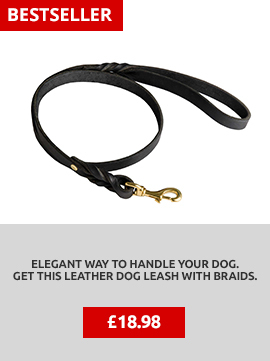 You may experience the situations in your dog's life, when you should use a dog muzzle. 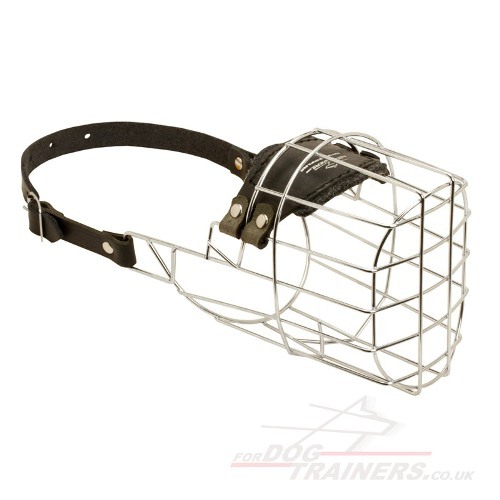 To learn your dog how to like a dog muzzle is something every dog owner should do, not necessarily just for aggression aspects, but also for many other cases, where this wire muzzle will become the most suitable variant for your fine dog. When you can't find a special breed among the list of the presented or maybe you have a mix breed, feel free to come into contact with us, this wire muzzle may be made in accordance with your own wishes/dog's measurements, thus we can select a certain well-fitted muzzle for your dear pet. Get the most humane dog muzzle design for comfort and safety of your dog.